The native forest of Scotland – The Caledonian Forest is the type of woodland that once covered vast areas of Scotland. Today only 1% of the original forest remains. Much of remaining Caledonian pine are well protected within the Cairngorms National Park and other reserves in Scotland. The image was captured after a long walk in the Cairngorm Mountains walking down the hill we found this nice and hidden place on the steep slopes. The hills were covered in a thick layer of snow but further down most snow were melted. 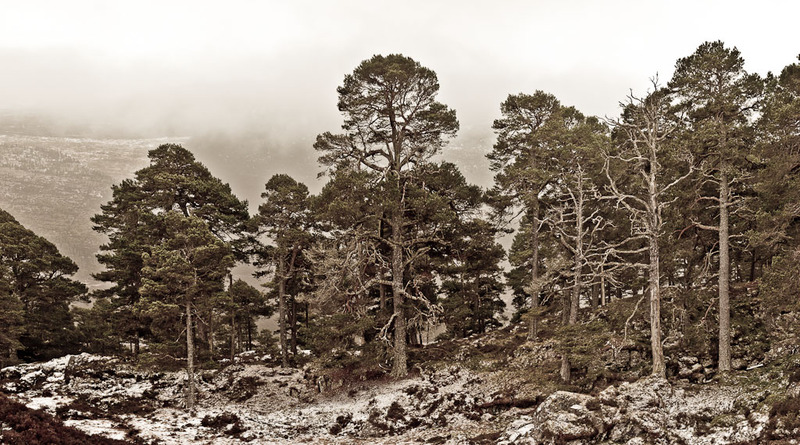 The panoramic image of Scotland’s Native Pinewoods is stitched from seven images captured with the Canon 5D Mark II and the 24-105mm f/4 zoom lens and stitched in Adobe Photoshop. NextWhat’s behind the Orange Umbrella?